With WOLF IN KING’S CLOTHING coming up for release on May 15, 2017 with Carina Press, I wanted to introduce you to the MC: Kent. 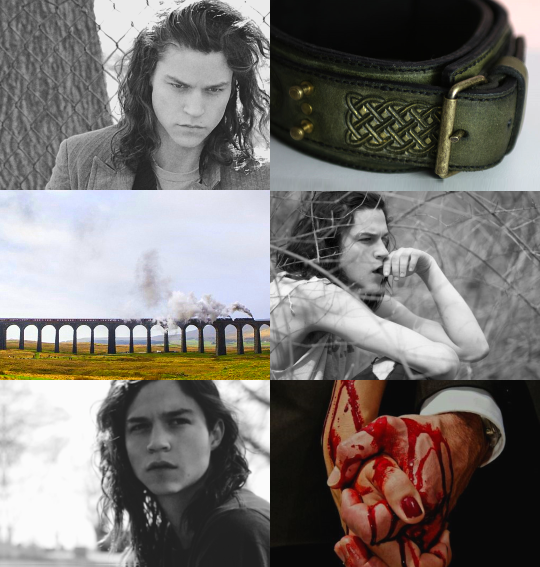 So here’s Kent as played by Miles McMillan, which is 50% the hair and 50% the gazing-into-the-distance. Kent doesn’t speak a lot, but there’s a lot going on in his head. What’s he thinking about? His collar. Escape. And – increasingly – Hadrian. But it’s going to be a hard fight if they want to be together! Come back next week to meet Hadrian, WIKC’s alpha!